We are looking for a motivated and autonomous PR specialist to join our fast growing team. 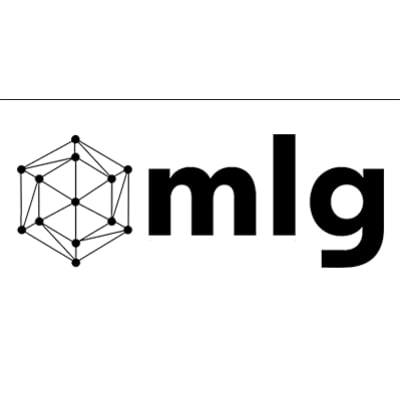 At MLG Blockchain Consulting we value ownership and initiative-taking, therefore we are looking for someone that can take on a project and run with it from beginning to end. Half of our business focuses around setting up and partnering with events, hackathons and conferences. We are looking for a PR specialist to join the team to ensure each event gets strong local, national and international press coverage. You will be working directly under the PR Director, with a strong focus on events, and taking over other tasks when necessary. This job is for you if you are looking to get involved in the blockchain industry and have knowledge about the industry. Even more importantly, this job is for you if you enjoy working remotely and can run with projects with a lot of flexibility and little supervision. We value results, and rarely micro-manage. Ensure each airdrop event receives a minimum of 4 press articles related to the event. MLG Journalist & Contributor Network - One of your ongoing projects will be to build the mlg network of journalists & contributors. We already have a strong base, which now needs more and more local and national players to have direct connections to journalists worldwide. Event Coverage - Ensure event is covered with the necessary amount of press (minimum 4 publications per event). Account Management - If journalists want to attend the events, ensure they have a great experience and provide them with whatever is necessary. Before & After Procedures - Build a streamlined process the team can follow to promote content as it goes out. Content Creation - Create innovative content surrounding the events. Work With Other Team Members - Work with team to get major announcements out on all crypto forums/ finance forums/ blog forums/ subreddits/ linkedin groups/ google+ groups/ fb groups. We are looking for a motivated individual that knows about the cryptocurrency world and understands how “cryptokids” interact with one another, where they get their information, and how they do their research before investing in upcoming ICOs. Your job will have two main facets. First is related to post-ICOs, taking charge of the PR aspect in setting up and managing the events across the world. Second is related to ICOs, contacting 20-30 contributors a week to establish long term relationships with strategic publications. This is an amazing opportunity to join a high talent team with a track record of success, and to develop strategic connections to some of the most influential journalists and agencies in the blockchain world.